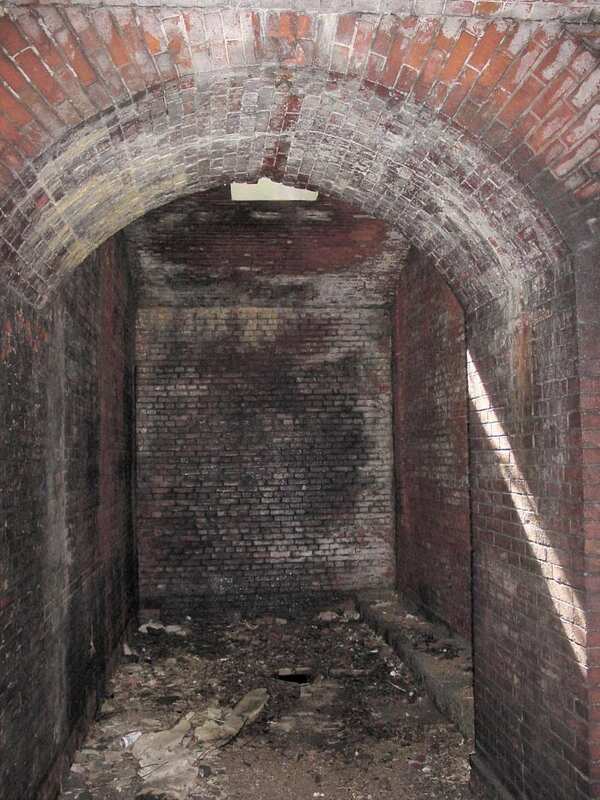 A storage room in the walls of the fort perhaps intended as a handling room for ammunition near the guns. Note the thickness of the walls and the leaching of mortar caused by decades of leaking water. The interior of the fort is entirely dominated by trees and undergrowth. There may have been a building attached to the interior wall of the fort here, as a foundation is just visible beneath the carpet of decaying humus on the ground. 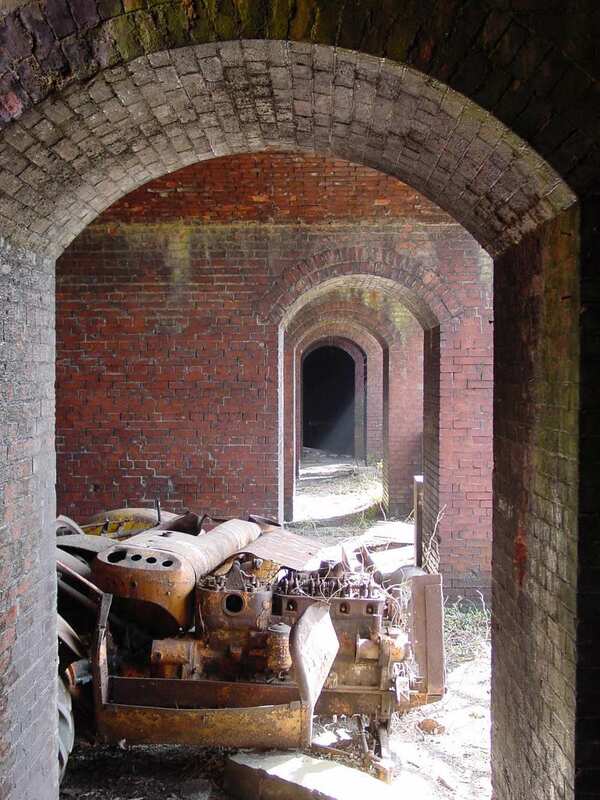 The remains of one of the tractors used to keep the interior of the fort mowed during its last years of use. 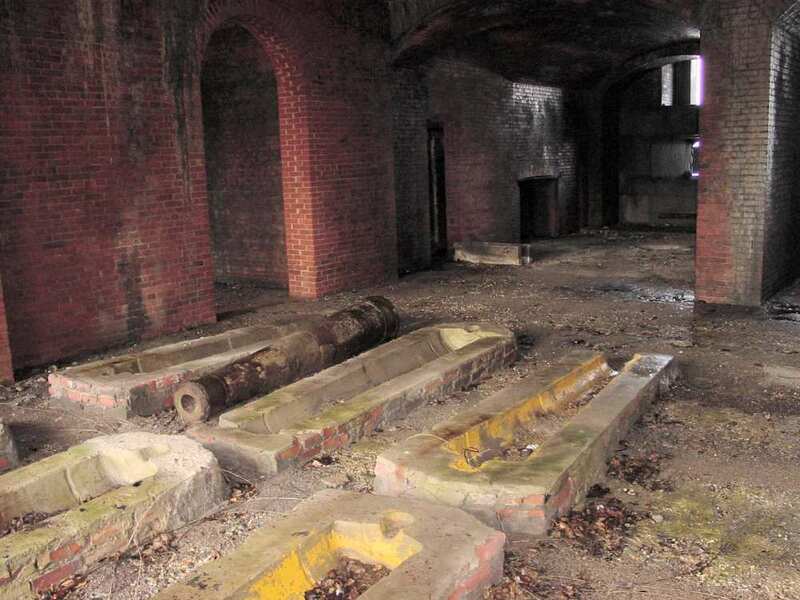 The original gun galleries, part of the antebellum “Permanent System” design which featured rows of cannons on carriages. 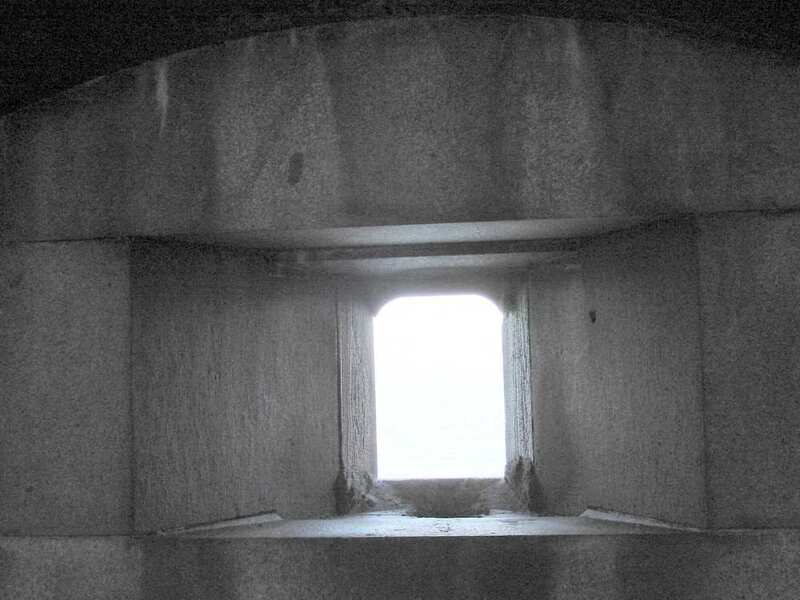 The gun ports are on the left; the area to the right is open to the fort’s interior. 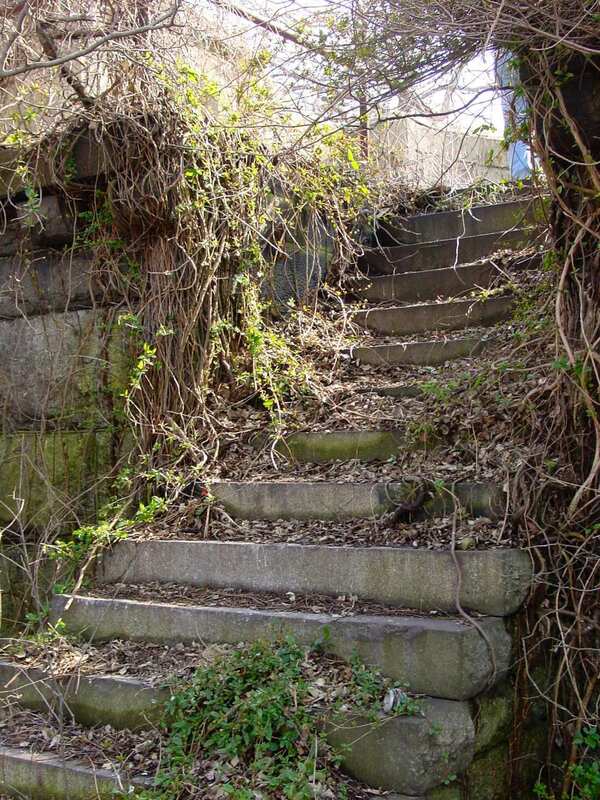 These granite stairs led to one of the larger concrete “Endicott System” gun batteries built just before the turn of the century. 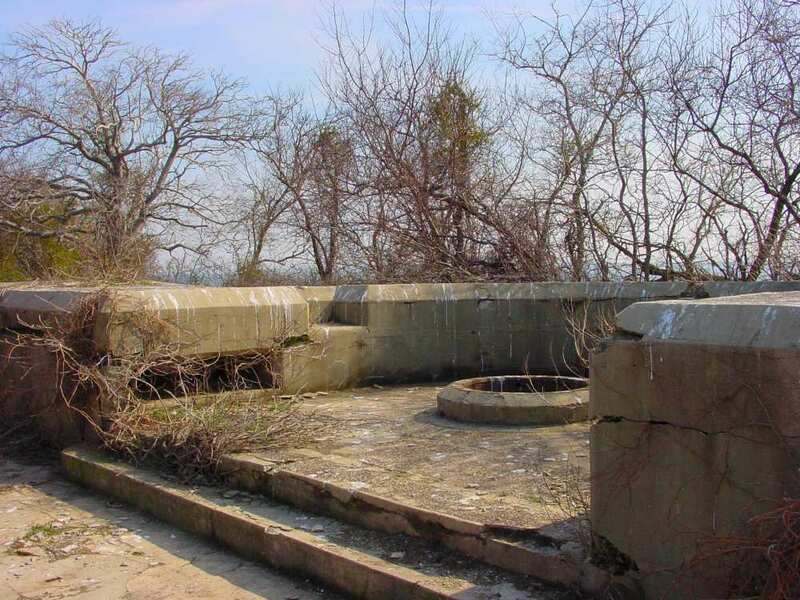 The curving wall of the gun emplacement can be seen in the upper right. 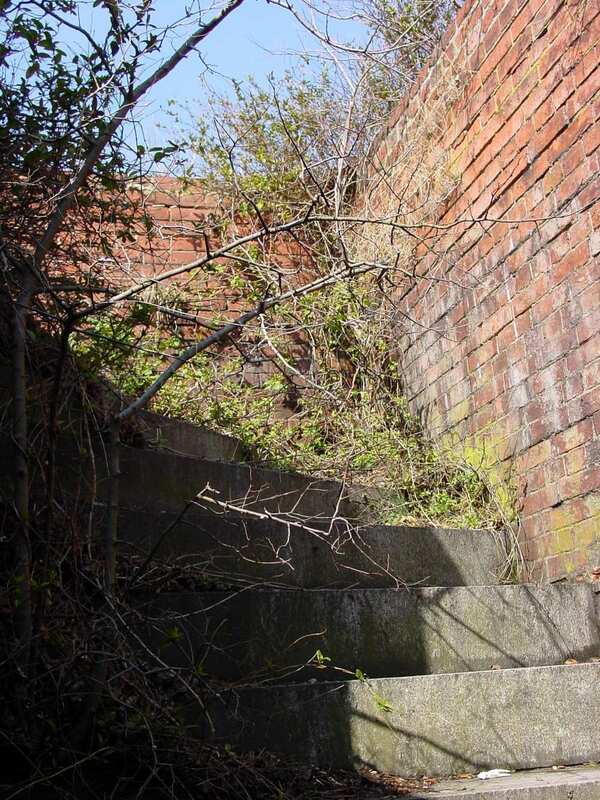 Stairs leading onto the roof of the northwestern portion of the fort. This may be the remains of a radio antenna foundation. 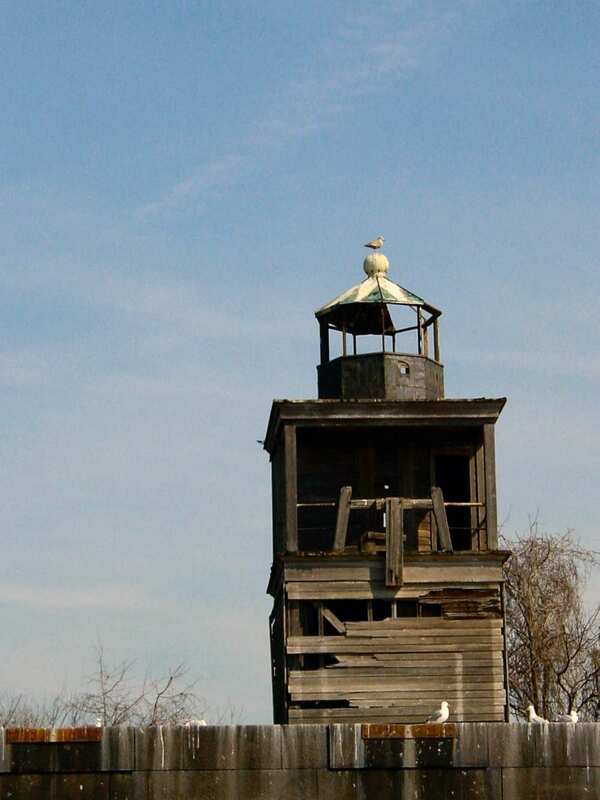 There is a large metal structure surrounded by reinforcing bars sunk into concrete. The concrete mount for one of the large-caliber guns (fifteen-inch, twelve-inch, or ten-inch). Note the “notch” in the wall for the gun barrel to rest when lowered out of sight for reloading. This is typical of the “Endicott System’ of artillery mounted on “disappearing mounts” which would lower behind the walls after firing. Living Quarters within the walls of the fort. Note the fireplace. The strange structures on the floor have nothing to do with real weaponry and are part of the fort’s history after it passed into the hands of the Eisenberg family. 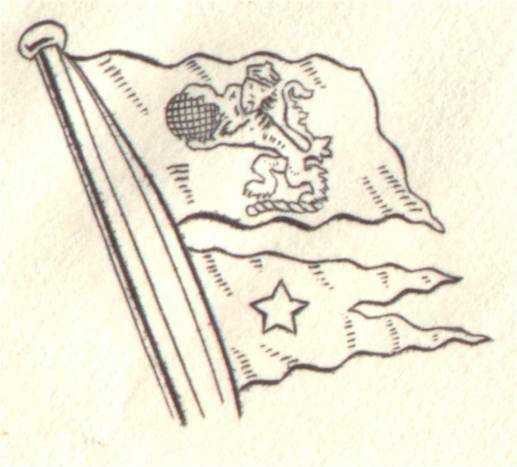 When the fort was originally built the granite quay had obsolete cannons cemented into its surface to act as bollards to which ships could tie up. That quay is now in ruins, but one of the cannons was brought inside the fort to serve as a template for a flight of fancy. Using bricks salvaged from the ruins, a group of molds were built using the old cannon as a model. Then, concrete was poured in and voila! Half a fake cannon! The two halves would then be joined together and placed on rudimentary wooden carriages, the remains of which are scattered around the fort. The Parade Ground with less overgrowth. 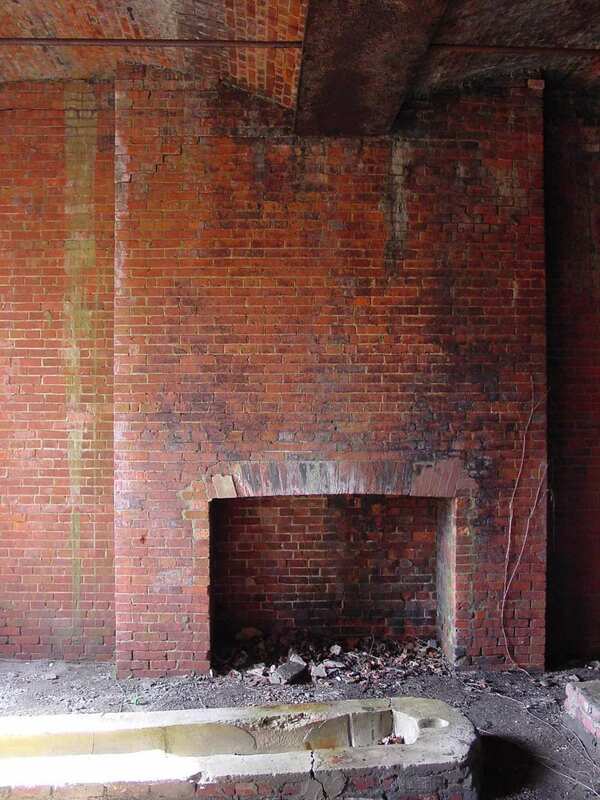 Another fireplace with a cannon mold. 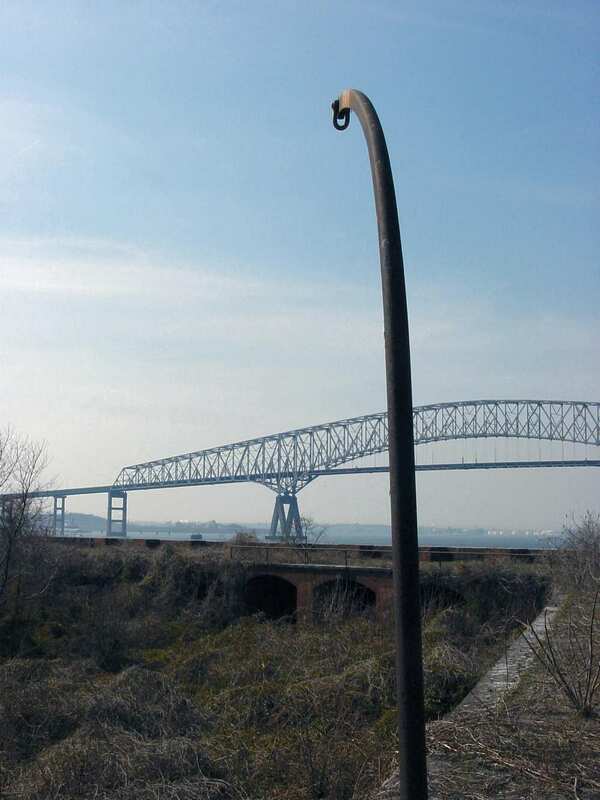 Imagine how vital a fire would be on a cold winter's night in the middle of the Patapsco River. The metal pipe on the ceiling is part of the old electrical system. The remains of the sallyport, which was the only way into the fort from the adjacent quay. Apparently there were two sets of huge doors originally. Note the large steel fitting at the base of the outer door. The walls are torn and scarred where enormous metal fittings held the giant steel doors in place. 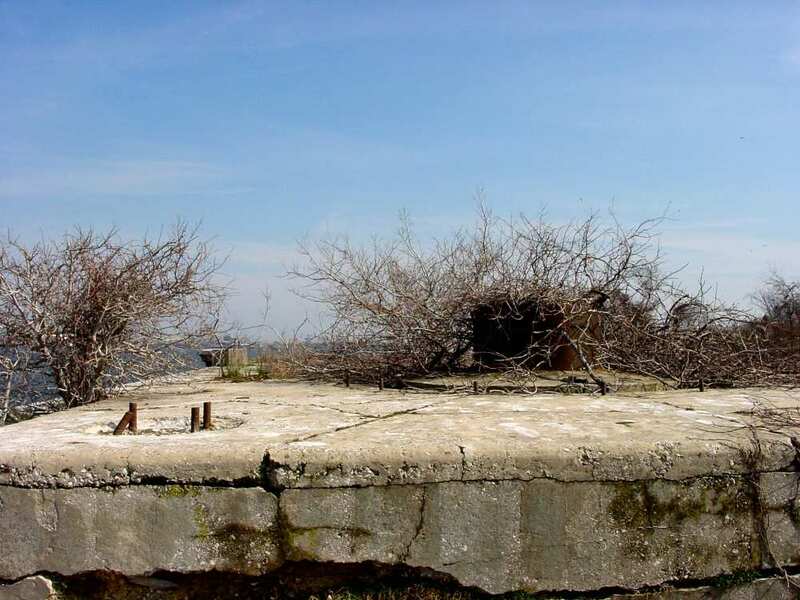 During the Second World War it is reported that the War Department removed several tons of steel from the fort to assist with the war effort. No doubt much of that came from this doorway. Note the ever-present moisture clinging to the walls and ceiling. 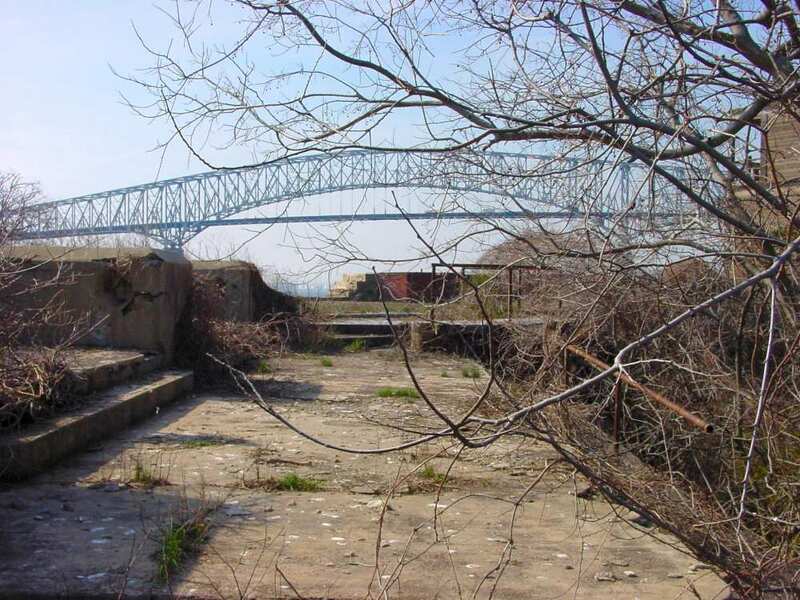 One of the “Endicott” gun batteries completed just after the turn of the century on the south side of the fort, with the Key Bridge in the background. Time and the elements are slowly crumbling the massive thick walls to powder. 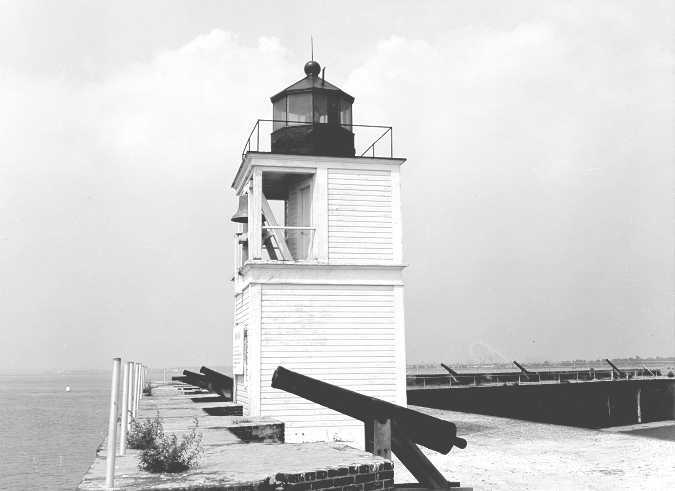 The lighthouse is on the extreme right. 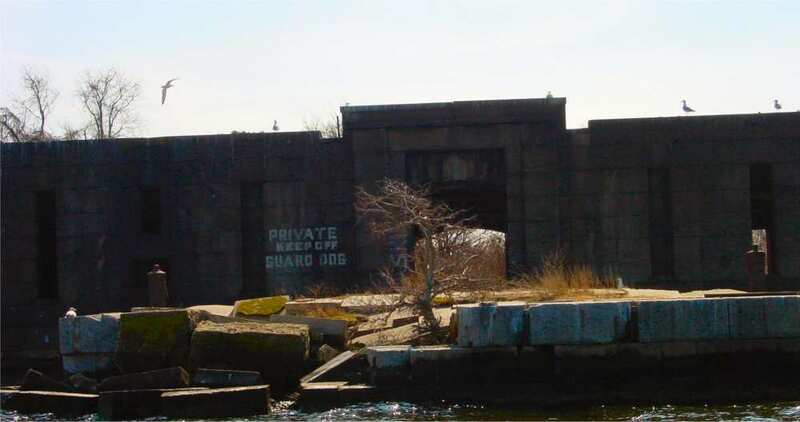 A view across the fort, looking at one of the three “Endicott” type batteries completed by September 1900. The word “Battery” is still visible on roofline of this concrete complex. The distance is not evident here—it’s three stories tall. 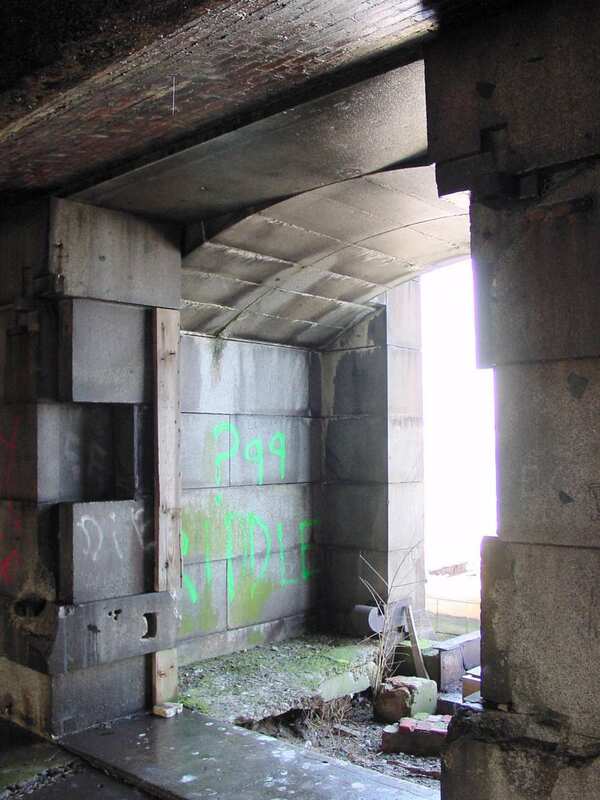 The concrete of this structure is flaking apart; revealing iron girders and supporting rebar within. 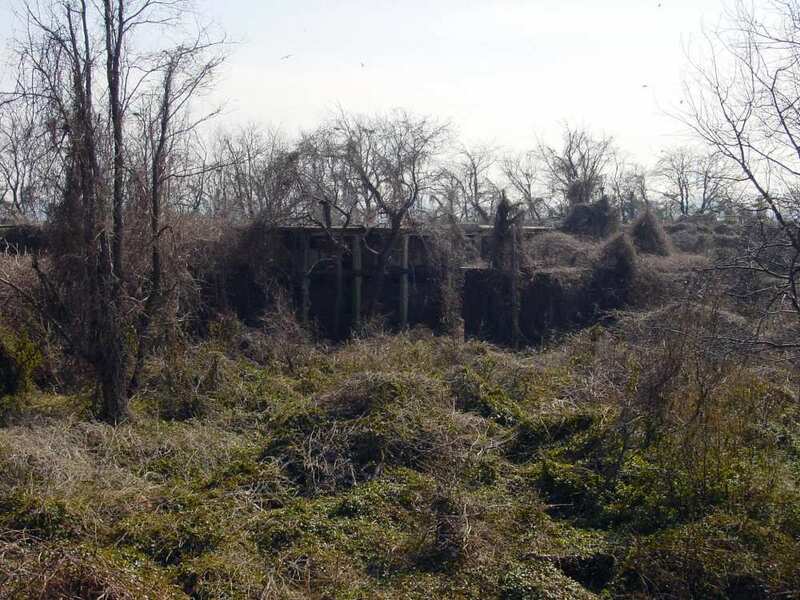 This photo was taken in early March, yet the jungle has hardly loosened its grip on the fort at all. Imagine how thick the foliage is in summer! It’s tempting to assume this old iron davit was used to hoist munitions to the topmost deck of the fort. In the background are the old-style gun galleries of the fort’s original “Permanent System” design. Even in death, the vines hold the whole place in their grasp, waiting for spring and the return of vitality. 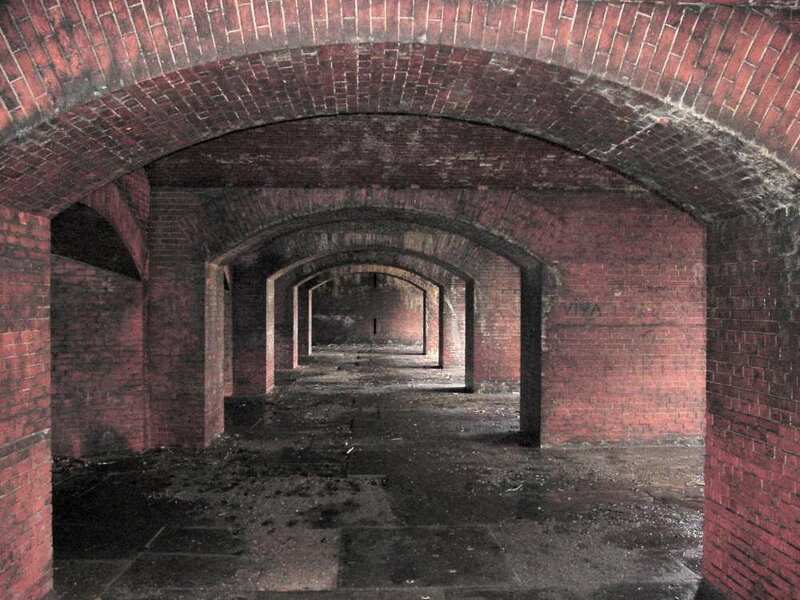 The interior of an old “permanent System” gunport. Note the thickness of the granite walls. A fake cannon made from the former navy bollards outside the sallyport. 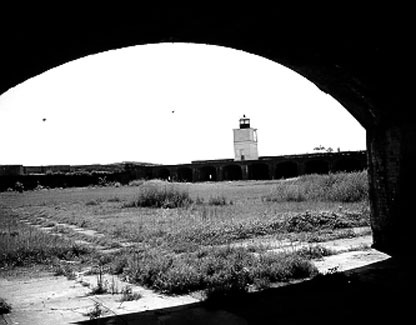 See photo of the lighthouse to view these cannons 50 years ago. 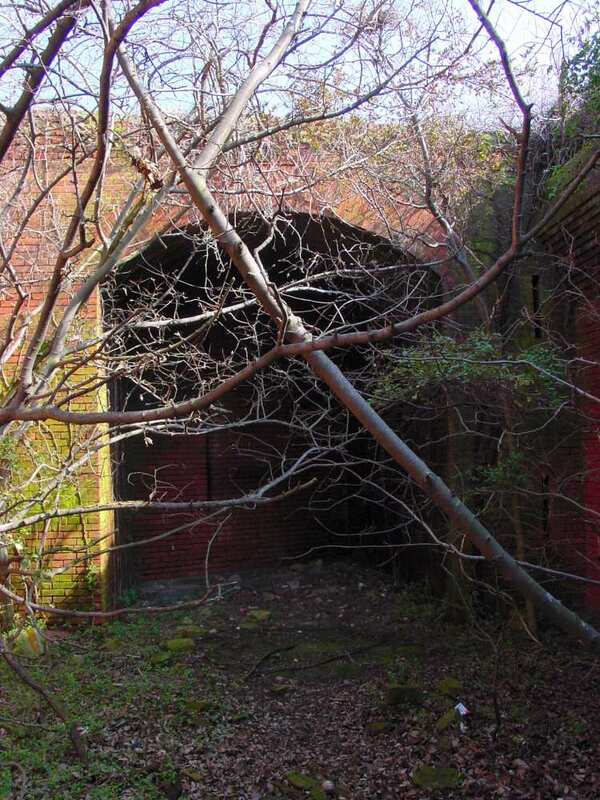 The second floor of the 1900 "Endicott" system battery showing the effects of time and salt air.